Kate and Don Wilson are longtime supporters of the arts in the Milwaukee area. They are co-founders of the Sharon Lynne Wilson Center for the Arts in Brookfield, but they proudly give their time and financial contributions to other area organizations as well. The Marcus Center for the Performing Arts, Milwaukee Symphony Orchestra, Florentine Opera Company, Milwaukee Film, and countless other arts and arts education organizations have all felt the impact of this generous local couple. We’ve also hung out with them during Buffalo Gospel, For The Culture, and Brett Newski shows. This year, the Wilsons are being recognized for their many contributions to the arts and arts education in Greater Milwaukee with the 15th annual EDDY Award, granted by the Wilson Center’s Bridge Committee. We were fortunate enough to be invited to this past December’s event where it was formally announced that Kate and Don would be winning this year’s award. Towards the end of the evening, we were chatting with the Wilsons about concerts in Milwaukee when Kate mentioned that she and Don usually stop on the way home from such events to grab a late McDonald’s breakfast sandwich. 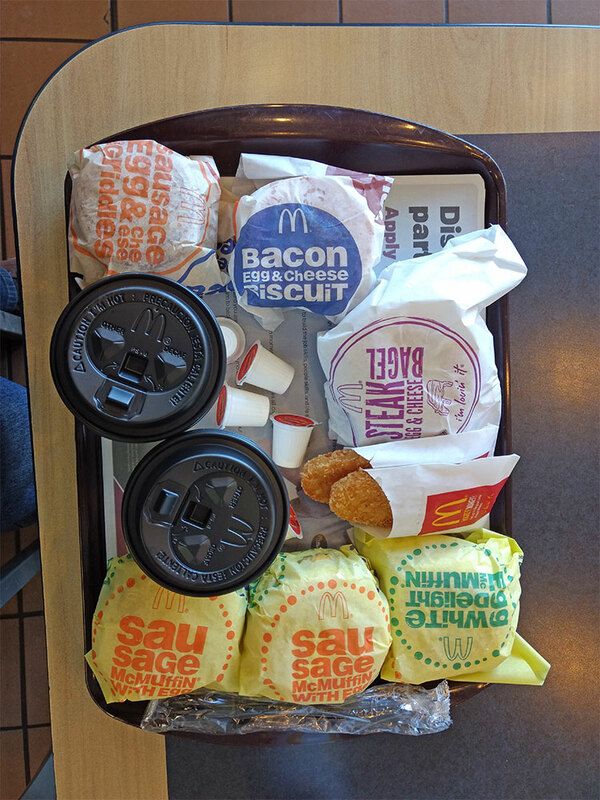 Being fans of McDonald’s breakfast offering ourselves, our gears started turning. We discussed how fast food can sometimes be an (admittedly unhealthy) home-away-from-home when traveling out of town, or especially out of country. All of us had stories about stopping at an American fast food chain restaurant in an unfamiliar town to regroup after a long travel day. Don recalled traveling for sports as a young man and finding twelve-cent fast food hamburgers to be a nice and easy recharge. Kate said that McDonald’s served her well when traveling for work, especially when in towns that didn’t have anything else. Josh recalled visiting a Burger King in Dublin, Ireland where a very young kid dressed up for St. Patrick’s Day threatened to “hand out black eyes” to anyone crossing him. First concert you ever attended? Favorite concert you ever attended? We also discussed our least favorite concerts, but we all agreed that the conversation was too negative to include here. Why spoil the fun? Favorite breakfast (not necessarily from McDonald’s)? We also tried the Steak Egg and Cheese Bagel and the Egg White Delight McMuffin, but by that point we were too full to give them a proper evaluation. Nothing that we tried competed with our personal favorites, but Josh started to see the appeal of the McMuffin as a sandwich vehicle and Kate started to see the benefits of the McGriddle. 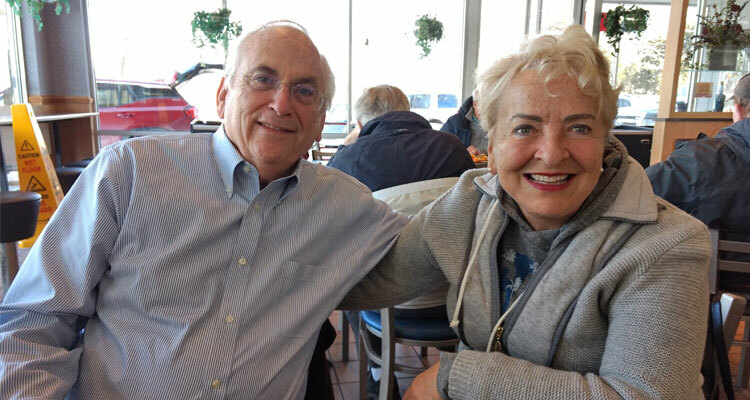 Should you see Kate and Don at your neighborhood McDonald’s, be sure to give them your two cents on the breakfast sandwich hierarchy, and thank them for what they do for the arts in Greater Milwaukee!